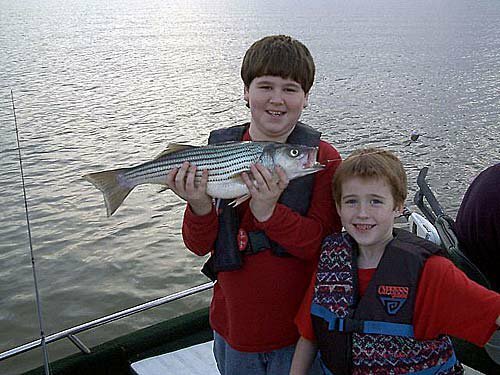 This year-round fishing guide service offers fishing and fun for all ages from the Oklahoma side of Lake Texoma at Lake Texoma State Park. A member of the Catfish Bay Guide Association, Blue Water Striper Guide Service features a licensed and insured guide. Book a fishing trip and enjoy the lake from a 23-ft Falcon Striper Express that can seat up to six people. All equipment and bait is supplied. Open year round, Mon-Sat at daylight. Open daily for six hours. Located 5 miles E of Kingston and 13 miles W of Durant on Hwy 70. Turn at the Catfish Bay Marina Mart. Located at the marina's gas dock, 1 mile from the Hwy 70 turnoff.